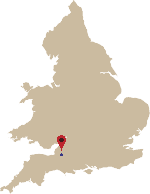 Simon was brought up in Henley-on-Thames. He studied horn with the virtuoso Ifor James at Colchester Institute, winning several prizes for chamber music, and gaining a Cert.Mus and G.Mus (CNAA) and then undertook postgraduate studies at Trinity College of Music in London. Since graduating he has developed a busy schedule as a freelance performer with orchestras such as the CBSO and Bolshoi Ballet, West End and touring shows, chamber music and recitals. He has a major commitment to the brass quintet Chaconne Brass, with whom he is frequently heard on radio and TV and has made five recordings, the most recent of which ‘Dancing in the dark’ was awarded four stars in a review in the Independent. Simon has performed virtually all the standard horn concerto repertoire, a highlight being a performance of the Britten Serenade in the Purcell Room on London’s South Bank. Simon has been the specialist horn tutor at Wells Cathedral School for twenty five years, taking up the same position at the Junior Department of the Royal Academy of Music seven years ago and in September 2004 he also became Professor of Horn at Birmingham Conservatoire. In addition he spent ten years as horn teacher at the Purcell School. Few, if any, horn teachers nationwide can equal his breadth of teaching experience. Very many of his pupils have gone on to win awards and scholarships to conservatoires and he numbers two under-18 winners of the Shell/LSO prize and a winner of the British final of the prestigious Paxmans International Horn Competition among many competition successes. Many of his former students have gone on to successful careers as performers and teachers, several holding principal positions in major British orchestras including the City of Birmingham Symphony Orchestra, BBC National Orchestra of Wales, Royal Philharmonic Orchestra and the Orchestra of Opera North, while others are busy freelance players or working in West End and touring shows. As an orchestral and chamber coach Simon has worked for the National Youth Wind Orchestra, National Children’s Wind Orchestra, National Schools Symphony Orchestra, National Children’s Orchestra, IAPS Orchestras and many county orchestras. He undertakes seminars and master classes on horn teaching and also writes regularly on horn teaching matters for a range of publications including Music Teacher and the Hornplayer magazine. Some of these articles have also been published abroad. 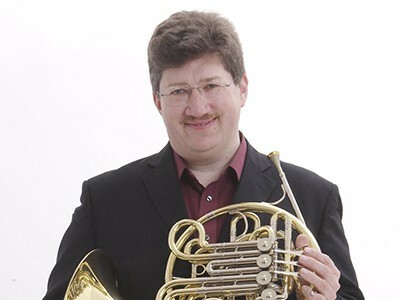 Simon is the Vice-Chairman and educational consultant of the British Horn Society. When not engaged in all these musical activities Simon tries to find time to indulge in his many hobbies such as building award winning finescale models of old railways, cooking, reading, taking photographs and cycling. He lives in Reading with his violinist wife Brenda and their two boys, Daniel (a horn player, surprise, surprise!) and Ben (a violinist, ditto! ).